The incident happened shortly after 3am this morning. GARDAÍ ARE CONTINUING to question a 16-year-old boy arrested after a fatal assault early this morning. The 17-year-old teenager died after he was attacked in the back garden of a house in Mayo. The incident happened shortly after 3am at Claremont Manor, Knock Road in Claremorris. The teenager was pronounced dead at the scene, and was reportedly found with stab wounds. 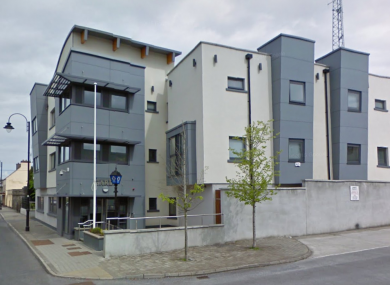 The 16-year-old boy arrested in connection with the incident is being held under section 4 of the Criminal Justice Act at Claremorris Garda Station. Anyone with any information about the incident is asked to contact Claremorris Garda Station on 094 9364219 or on the Garda Confidential Line on 1800 666 111. Originally published 9.23am. Additional reporting by Nicky Ryan. Comments are closed for legal reasons. Email “Gardaí question 16-year-old arrested after fatal assault on teenager”. Feedback on “Gardaí question 16-year-old arrested after fatal assault on teenager”.